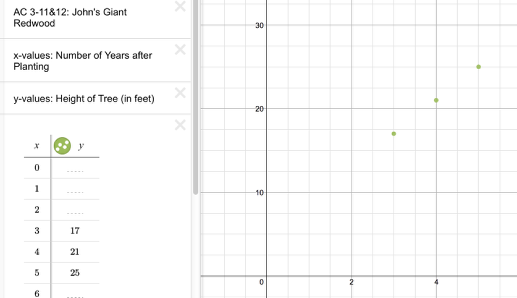 Click on the link below for the “John's Giant Redwood Student eTool (Desmos)." 1. Complete the table. Then type in the rule that goes through the points.